Stress! You have heard about it and probably experienced it in some way, shape or form. The word stress can be associated with different things and used in many contexts. However, what is stress, really? In simple terms, stress is a type of tension, strain or pressure that is exerted on something or some object. It can also be exerted emotionally or mentally on a person. It could occur as a result of fatigue, it may also develop based on the occurrence of traumatic, demanding and other adverse situations. Also important to know is how to cope with or get rid of the stress that you may be feeling or experiencing and this leads to understanding another dimension related to stress which is referred to as the stressor. Stressors provide a stimulus which causes stress. Hence, while stress is the actual feeling, the stressor is linked to causation. In busting, reducing or eliminating stress from our lives, sometimes, focusing on the stressor can be beneficial. There are different things that could help reduce or eliminate the stress that we feel including certain scents, foods and exercise. Let’s look at 7 Great Stress Busters! Sip your way into a renewed state of mind. If you do not drink tea, you may want to reconsider after discovering that drinking tea could help soothe away stress. 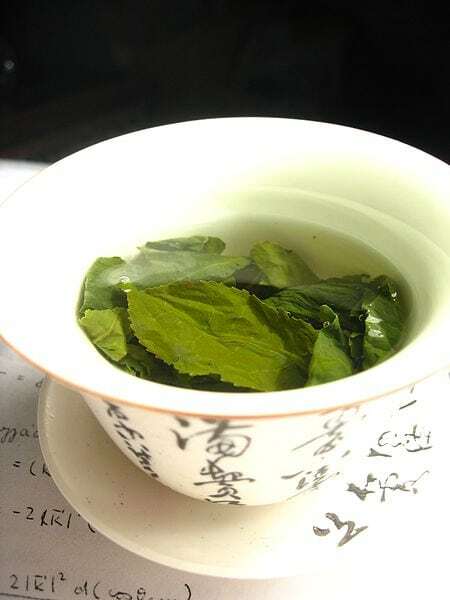 Theanine, which is an amino acid that is present in certain varieties of tea such a black or green tea may cause a lifting of stressful feelings while promoting relaxation. Green tea contains different types of polyphenols which are basically antioxidants that are able to fight oxidative stresses. There have been studies which link fresh green tea leaf polyphenols to oxidative damage that stress creates and it is suggested that drinking five cups of green tea in a day could reduce psychological stress . The decaffeinated brands of teas are preferred in terms of reducing stress, because high levels of caffeine could do more to prevent a person from being able to relax, sleep or get sufficient rest. Blueberries, Oranges, Passion Fruit and More! Nutrition plays a big role in reducing or managing the amount of stress we have in our lives. Fruit can be a healthy food option for your waistline and perhaps you did not know that fruit could also help you relieve stress. The not-so-secret weapon of fruits such as blueberries lies in the high level of antioxidants contained in these foods. Antioxidants target cell repair and the protection of cells. Hence, the body is fortified against conditions that could make it more susceptible to attack. 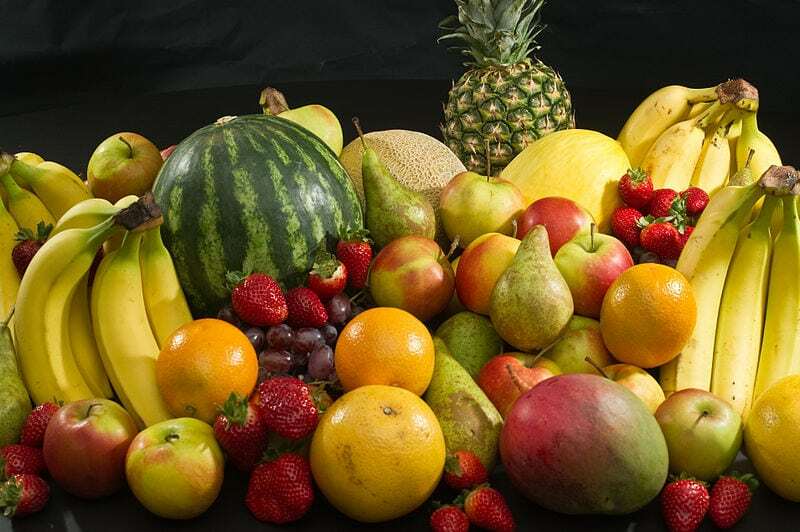 Also, fruit can be rich in vitamin C which contributes to a healthy body, is capable of minimizing hormones related to stress such as cortisol and is also able to reduce blood pressure. Foods like passion fruit have been known to have stress-relieving properties. The passion flower extract has been studied for its relation to anxiety order and results have shown that there can be some improvements related to quality of life and relief from anxiety . However, there are opportunities too for future research in this area. Nibble in moderation. Yes, there may be many people who are glad that chocolate made it on this list. 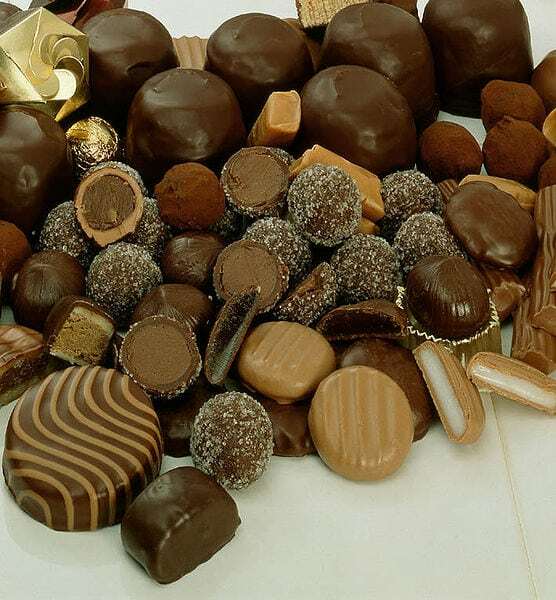 Indeed, chocolate could help to relieve some of the feelings of pressure and doom that a person is facing. This is why chocolate seems to be the food of choice for those who are simply having a bad day! The challenge with using chocolate as a stress-reliever is not to overdo it, though. It can be very tempting to eat more chocolate than we should, as it may make us feel really good when we eat it. It tends to release a lot of the “feel good” or serotonin hormones. However, too much chocolate could wreck havoc on our waistline. Hence, nibble in moderation, as this food can pack a punch in terms of caloric count. Overeating and weight-gain could be stressful by itself. So, it would be unwise to try to reduce stress by overeating chocolate or other foods and thereby repeating the cycle of stress. There are also different varieties of chocolate and the darker chocolate appear to have the most benefit for reducing stress due to higher capabilities to affect levels of catecholamines and cortisol hormones which are linked to the stress a person can feel. Time to eat your veggies! This may not be a food you usually eat. 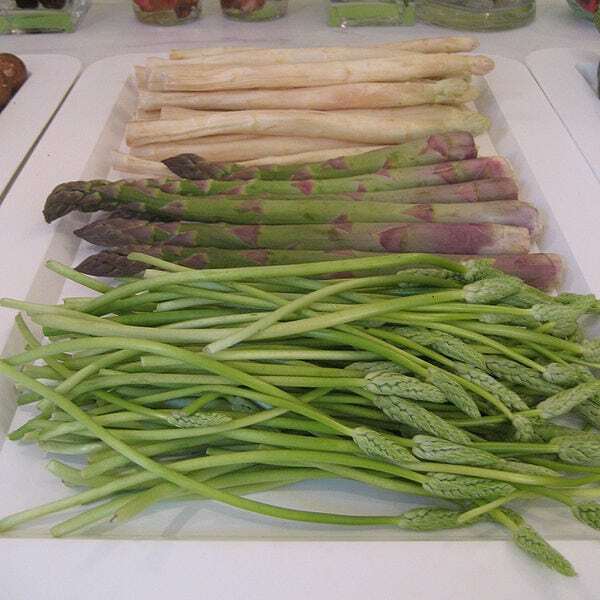 However, knowing that asparagus has been connected to folic acid levels and the ability to boost a person’s moods could make you re-think the way you choose to ignore this vegetable or begin to include it in your meals. Compared to other foods that are loaded with fat, you really cannot go wrong by adding this food item and there are different ways you could gradually begin to eat more asparagus including options for grilling, sautéing or steaming asparagus. Simply steam some asparagus stems or add chopped asparagus to an omelet for a tasty dish that helps to reduce anxiety and stress. In addition, being rich in folic acid contributes to the ability of asparagus in affecting serotonin levels in the body. Vitamin B and folic acid can create serotonin. Asparagus also has other favorable biological properties include being anti-bacterial, anti-oxidants and anti-inflammatory . Apart from asparagus, there are other vegetables like spinach which could promote a state of well-being and provide a reduction in anxiety levels. A common effect regarding these vegetables is the ability to specifically target and regulate the cortisol stress hormone. Calming and relaxing. There are some scents that could provide a calming effect and one of such scents is lavender. There has been a lot of research regarding the use of lavender and how its use could be beneficial in treating various conditions. The lavender plant produces flowers and lavender-scented oils can be extracted from this plant for use in treating depression and anxiety. 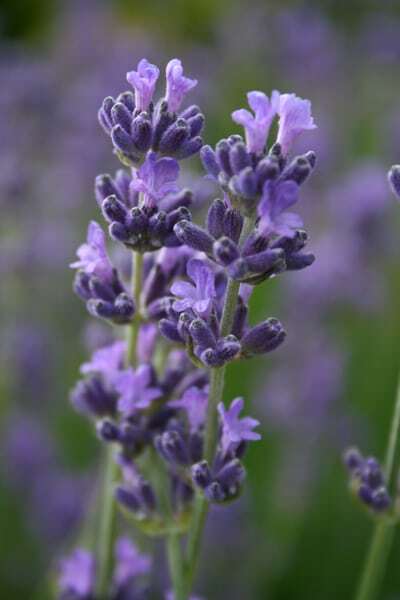 Such aromatherapy has been deemed effective for these purposes in both controlled and uncontrolled clinical trials and research studies also reveal that taking well-defined essential oils from lavender as an oral supplement in dosages of 80 mg per day produced high quality or superior results when compared with some prescribed anti-depressants . Hence, such data could give room to discussions with a primary care physician regarding the possible use of lavender oil to manage depression, anxiety and stress. Rich in B Vitamins. To reduce anxiety, it would make sense to tackle a trigger that could affect the level of anxiety that a person feels. When consuming avocados, the benefit we receive from this food that is rich in healthy fats, is an abundance of B vitamins. These B vitamins are needed for the healthy development and sustainment of brain cells and nerves. In addition, the healthy fats and the high potassium content that is found in avocados , also helps to maintain adequate blood pressure levels which help to reduce stress and keep the body in balance. 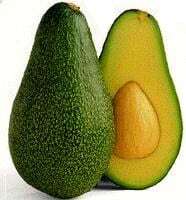 Half of an avocado can contain about 480 mg of potassium. In terms of caloric content, avocados can have a high fat content, however, it is the right kind of fat to eat and a necessary part of your diet. Hence, consume in moderation or as a moderate spread on bread, toast or crackers. However, a big selling point for a healthy avocado snack is that it can also fill up the tummy quite well or provide the feeling of being full. Hence, this feeling of nourishment coupled with the fact that avocados contain healthy fats can be a significant stress reliever. Simple but effective! Yes, exercise can be a simple but effective way to bust stress right out of your life!! It does not have to be gut-wrenching, muscle-pulling types of strenuous exercise. A simple walk outside on a cool or mild day could help relax the muscles in your body, clear your head, expose you to the amazing scents of the flowers outside and fill your lungs with fresh air as well. 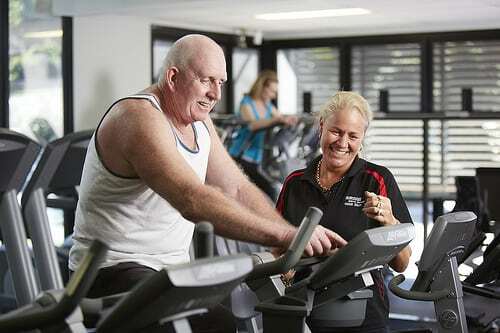 You could also do some exercise indoors, on a treadmill or with weights. Stretching and Yoga posses could provide some relief from stress as you purposely place you mind and being in a more centered place. Exercise does not only target a person’s physical state but could provide beneficial effects to mental capabilities as well. In addition to exercise, massages, self-hypnosis and meditating can also prove to be very relaxing and effective in relieving stress. Busting or getting rid of stress can occur through the help of mood-boosting foods, scents and exercise. When people get stressed, they can show signs so anxiety, pressure, overload, difficulty, nervousness, trouble and worry. There is benefit in getting rid of stress as this condition could be linked to a diminished immune system, abnormal heart rates, heavy breathing, lack of sleep, high blood pressure, twitching nervously or other nervous traits, headaches, fainting, stomach upsets and tense muscles. If stress is not checked or appropriately handled, it could lead to other behaviours or events such as problems in relationships, the abuse of alcohol, the abuse of drugs, overeating, not eating enough, withdrawal from social gatherings, mood swings and other possible conditions. Using these 7 Stress Busters could help contribute to a life in which stress is well-managed!